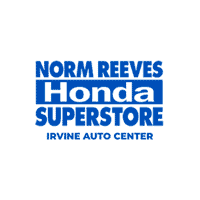 At Norm Reeves Honda Superstore Irvine in Irvine, our first priority is making sure our customers in Laguna Beach, Anaheim, and Lake Forest have easy, stress-free car buying experiences. And from our massive inventory to our dedicated service and finance departments, we’re achieving just that. However, we’re taking this goal a step further by adding our Honda vehicle comparison page. The research process that usually comes with choosing your next vehicle can take days and even weeks before you successfully decide which car you want. However, with our online Honda vehicle comparisons, we’re giving you an easy, useful way to gather all the information you need. Details from the exterior styles to the interior features are explained in detail for your convenience. Clicking on and reading through each of our comparisons not only gives you a look into the vehicles you’re considering but also the confidence you need when deciding on which one you want. We don’t want you to drive home in a vehicle you’re not completely in love with. But thanks to the information we provide, you’ll be able to make sure the car you’re considering is the car you want. And once you’ve successfully chosen the vehicle you want to drive home in, you can stop by the Norm Reeves Honda Superstore Irvine showroom to schedule a test drive. We have a great inventory of new, used, and certified pre-owned models for you to choose from. At Norm Reeves Honda Superstore Irvine, we want to give our customers a great car research experience to remember. And with our Honda vehicle comparisons, we’re doing just that. With these, instead of stressing, you’ll feel relaxed as you sit back and read through the information you need to choose your new car. So if you’re stressed out trying to compare vehicles, don’t worry because Norm Reeves Honda Superstore Irvine is here to help. 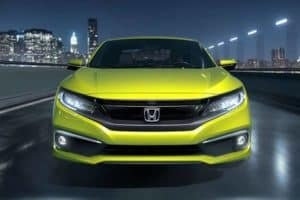 Just go to our website and click through our numerous Honda vehicle comparisons for the information you’re looking for. Soon you’ll be able to choose the car you want and then you can stop by our location at 16 Auto Center Drive in Irvine to schedule your test drive!